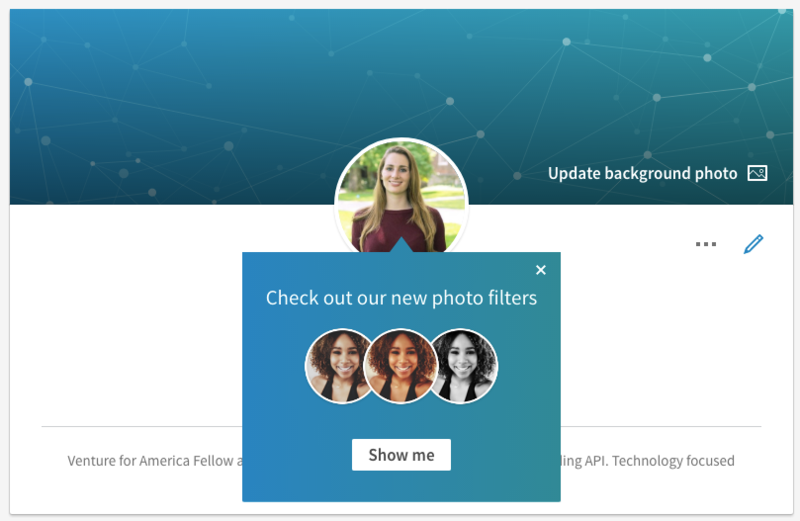 On March 14, LinkedIn released Photo Filters and Editing for profile pictures, along with guidelines on how to get noticed with a “professional” photo (read more here). The fact is, profile pictures are important, and you don’t always need a professional headshot to look good. Often, a selfie with some nifty filters will do the trick. 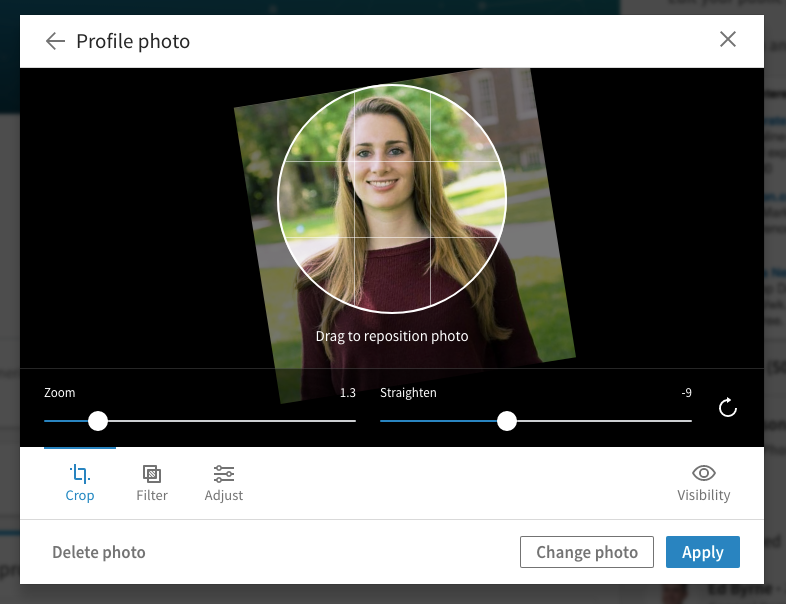 With LinkedIn’s new features, you can zoom, straighten, crop, filter, monochrome, resize, and otherwise edit your image within their app. These capabilities come as no surprise to us at Filestack. 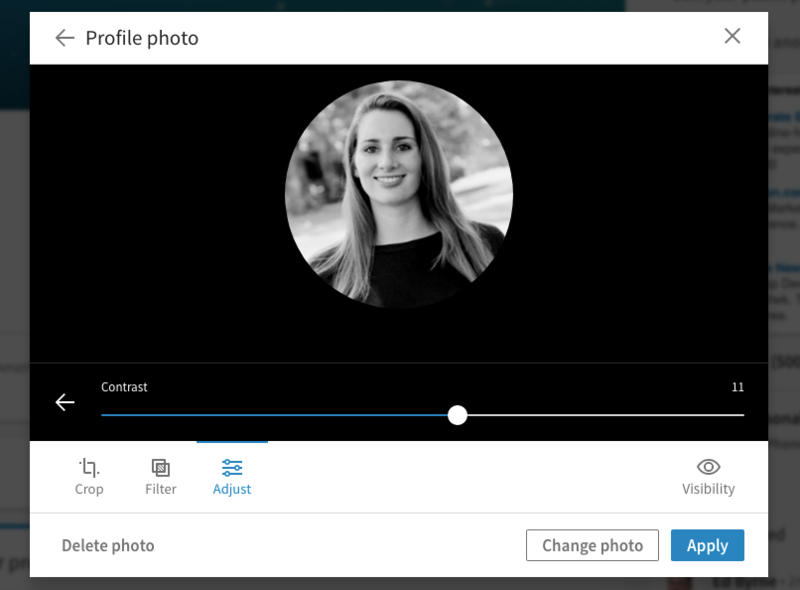 LinkedIn is not the first popular application to support in-app photo editing. Instagram, Facebook, and Snapchat have long since allowed users to manipulate images after uploading in their apps. This has become a standard in file uploading, especially for profile pictures. Here at Filestack, we believe that every application should have awesome file uploading and editing capabilities without having to reinvent the wheel. That’s why, in our latest version of our file picker, we included in-app image editing as a default feature. This means that any developer can have a very similar file upload process to LinkedIn, with only two lines of code. 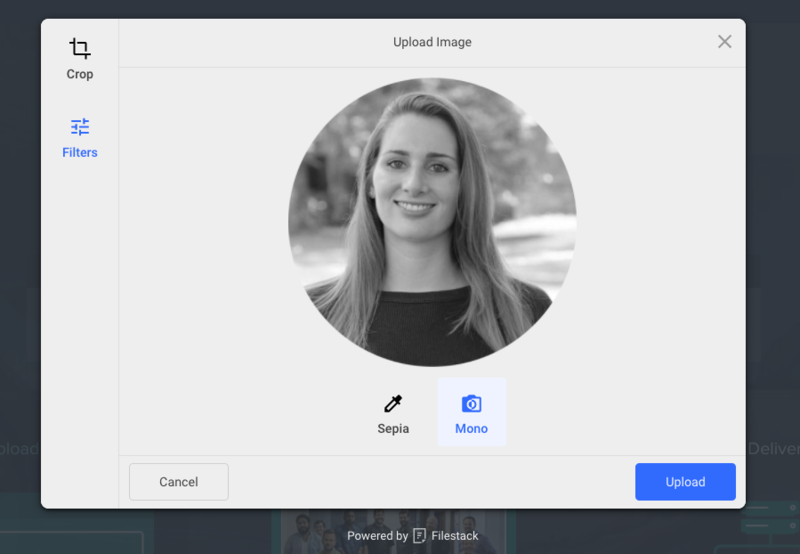 Similarly, with Filestack you can also circle crop, rotate, monochrome, and filter images in your file upload dialog box. 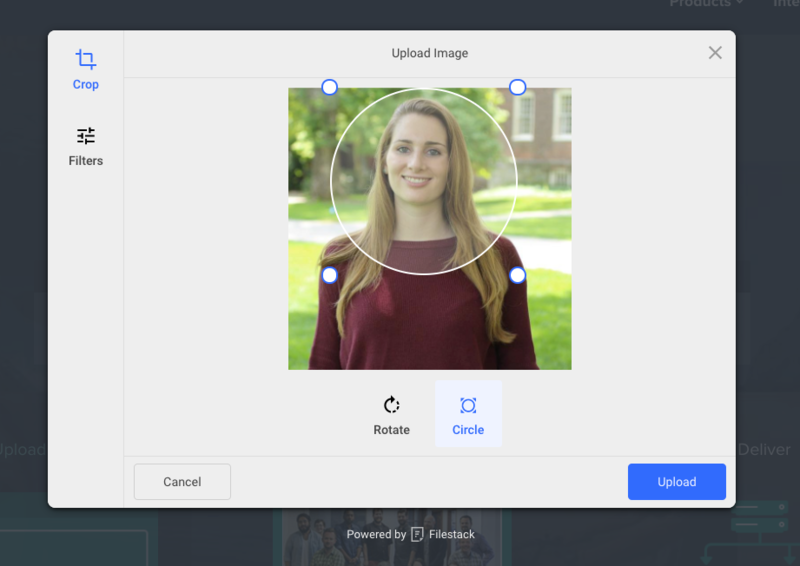 You can also build in your own image transformations, or programmatically process the images after they’ve been uploaded. Of course, you have many options when it comes to customizing your file uploader for your use case. See all different methods for uploading, editing, storing, and delivering files in the Filestack documentation.